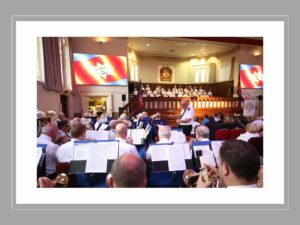 The Band first played in the Assembly Hall of William Booth College at the Thanksgiving Service for the life of Commissioner Denis Hunter (a keen SLFB supporter), led by Retired General John Larsson. 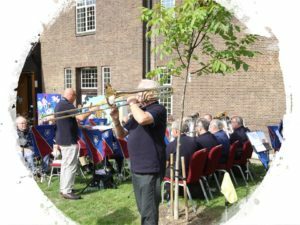 On Saturday 15thSeptember 2018 the Band returned to WBC and played before the SA’s current General. 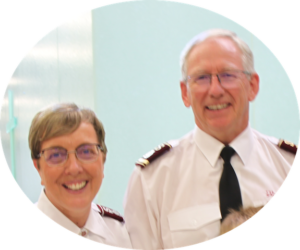 The occasion was the South London Division’s Celebration week-end – “Be One 2018 (John 17.21)” – led by General Brian Peddle and Commissioner Rosalie Peddle. 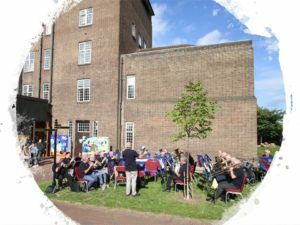 A wide variety of activities was available for participants of all ages during the Celebration and on the Saturday music was provided by the Band, Staines Songsters, Bexleyheath Singing Company and a worship band. After the brief Opening Ceremony at 11.30am in The Quad outside the Assembly Hall, the Band provided a 75-minute “Bandstand” in the bright sunshine. Wearing our new blue polo shirts, surrounded by people relaxing on the grass and with several stalls competing for their attention, the music played was easy to listen to and enjoyed. Included were the marches Bournemouth Centennial (Bearcroft) and Spirit of Joy (Rive); the classic selections Songs of Testimony (Bearcroft) and The Firing Line(Condon); the suite The Crystal Tide(Wright); song settings/arrangements Mid all the Traffic(Ballantine), Promised Land(William Broughton) and Light up the Sunshine(Webb); and the film music “Alone yet not Alone” (Bruce Broughton). 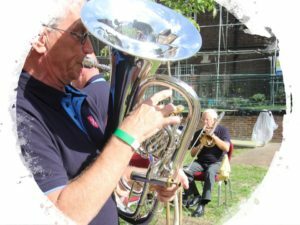 Adrian Horwood (euphonium) was the first of the Band’s three soloists, playing Brillante (Graham) – a fantasy on Rule Britannia– with his customary brilliance. 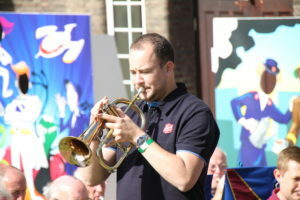 Craig Finch (flugel horn) gave the Band’s first performance of Morricone’s Melody, an arrangement of Gabriel’s Oboe by Roland Kernen which the Band acquired following its visit to the Netherlands last year. After a well-deserved lunch, the Band led The Big Play in the Assembly Hall – a 30 minute rehearsal of Happy, music by Pharrell Williams from the popular children’s movie Despicable Me 2. Before the week-end about two dozen brass players had registered with the Division their wish to join the Band to rehearse and then perform Happy in the afternoon Celebration meeting. Unfortunately, only one player turned up on the day! However, this jazz-style music proved a big hit in the Celebration meeting – the Band’s best received contribution of the day. The 4pm Celebration meeting was Saturday’s final event. 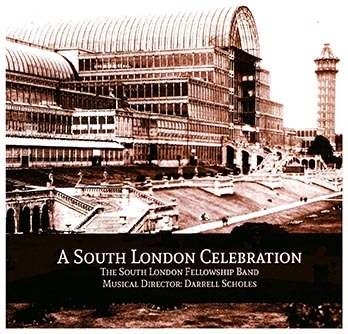 As well as Happyand accompanying some of the songs, the Band contributed Martin Cordner’s stirring Festival Arrangement Call of the Gospel,based on the Gowans/Larsson song from their musical Take -Over Bid, and, at the conclusion of the day, Les Condon’s Festival March Celebration. It was a long day for the Band, especially those travelling from the south coast. 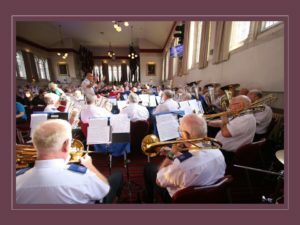 Indeed, since the Band was founded, the South London Division boundaries have changed considerably and more than a dozen of our members now belong to Corps within the South East Division (Kent and Sussex). 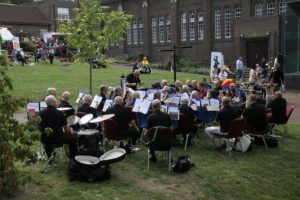 This was the second South London Division event this year directly supported by the Band. It was a very worthwhile, relevant and God-glorifying occasion. The Celebration reached people of all ages and provided a wide range of styles and variety in praise and worship. We give thanks for the opportunity to participate and celebrate. We are grateful to Captain Kevin Stanbury, Mission Enabler in the Divisional Leadership Team, for acting as liaison for the event and assisting the solo cornet section on the day.